In the 21st century, Cloud Computing becomes one of the most popular topics in IT business. Cloud Computing and its benefits are well accepted in the IT business around the world. From small to large enterprises are enjoying the substantial flexibility, scalability, and low-cost maintainability from resource management capability in various areas, such as Hardware, Storage, OS, Database, and fundamental platform/infrastructure /service. Currently the services being delivered through Cloud Computing are limited to only few types of devices which are PC, Smart Phone, Tablet and Thin Client. Such limitation not only forces the design for service to fit the device, but also implies the cost of using such devices as part of the solution. Even though the price of the devices is coming down, but it is still too costly comparing to the capabilities of the devices which are not fully utilized for the corresponding solution. For example, the usage of PC and Thin Client for accessing Application Service from the Cloud by nature does not require much of the processing on the client device because most of processing occurs at the Cloud. As a result, such devices are mainly for passing data being processed and receiving data from the cloud and displaying them to the users. Obviously, the solution just utilizes only 10% of the capability of PC. The advent of Thin Client is mainly for replacing PC but in the end its price prevents it from becoming part of the solution. Furthermore, Thin Client does not completely address the issue of displaying Video and Voice over Remote Desktop Protocol. The extra cost of using such devices as part of the solution is just the tip of the iceberg. Since the current Cloud Client devices composes of many wear-and-tear-prone parts, together with the relative high price of the devices, the imminent maintenance costs are just around the corner since replacing the devices (implies stocking of the devices) does not seem to be practical. At the bottom line, the Cloud Client in the market is not suitable for the existing IT Business solutions. According to the limitation of the cloud client in the market, the common and fundamental issue is the interface that limits the access to only particular cloud services per device. For IPTV service, IPTV box does not have ability to access to cloud service like Microsoft Office 365. On the other hand, a cloud service provider for Home Security and Control needs to build their own device that can deliver the service to the end users. To address the aforementioned limitation and cost issues, the Cloud Client Platform must have the following features. 1. Access to cloud service over Web Browser and RDP. 2. Support variety of peripheral interface devices over USB, Ethernet, Wifi, and HDMI interfaces. 4. Support multiple major formats of Video and Audio. 5. Feature Application Framework facilitating Software Development for Cloud Service Providers. 6. Consists of low maintenance hardware with relatively cheaper than the current cloud client in the market. Not alone does the Cloud Client Platform reduce the cost of Cloud Solution, but also enable the Service Provider to develop more attractive and effective solutions. Via Application Framework associated with the Cloud Client Platform and the rich available features, the Cloud Client Platform is indeed the fundamental step for forthcoming innovation that drives Cloud Computing architecture to become the solution of the century. We first looked up to the cloud searching for new invention. Then, we move to the cloud to enjoy the innovation. Next, we are going to move up beyond the cloud for the better vision and the quest for the next generation of invention. 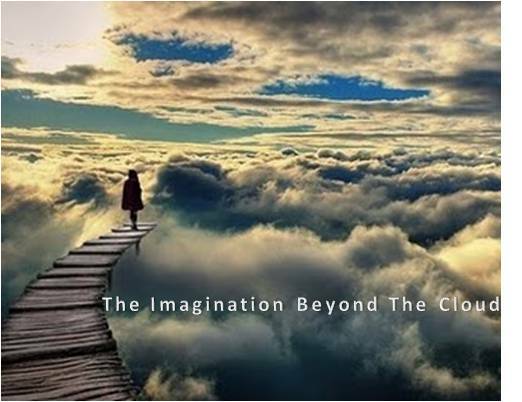 The Imagination Beyond The Cloud…..